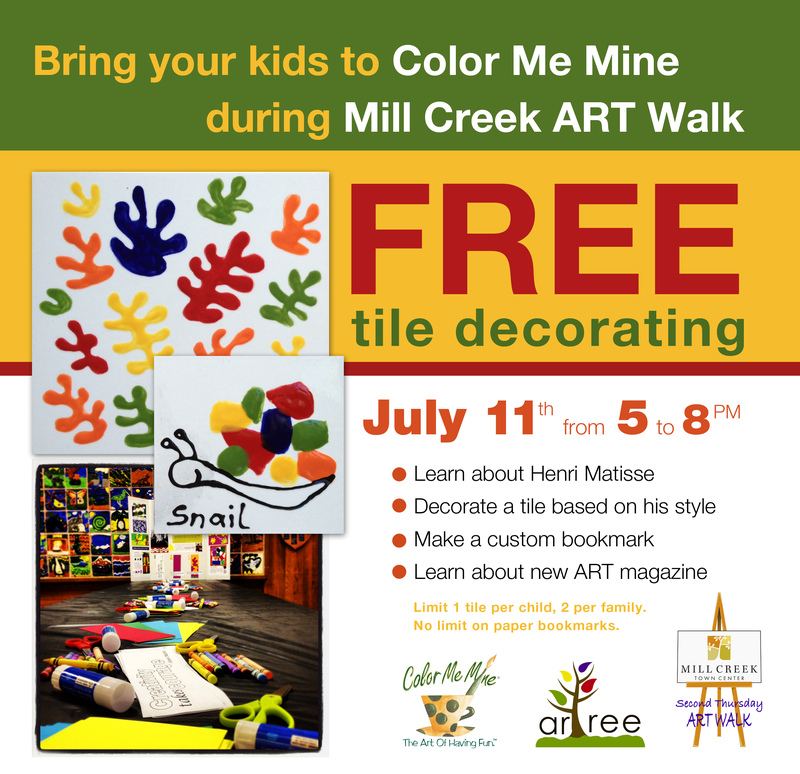 Join us for FREE tile decorating during the Mill Creek ART Walk on July 11th from 5 to 8 pm. Your kids will learn about Henri Matisse and decorate a tile (and a bookmark) just like he would. They can use templates or their imagination and the project is suitable for kids of all ages (even though preschoolers may need a little bit of help). And while your kids are busy you can be the first to see samples of arTree’s new magazine – ready for the school year 2013. This entry was posted in Art Projects, Updates and tagged art, art walk, ArTree, bookmark, color me mine, kids, matisse, mill creek, preschool, project, seattle, tile. Bookmark the permalink.